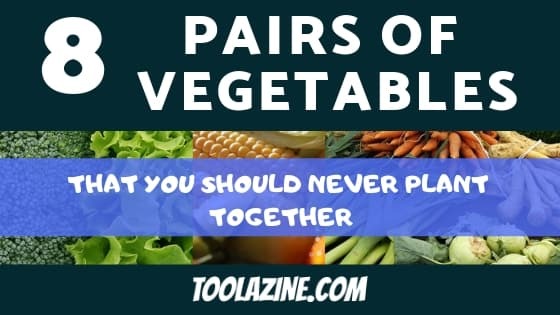 Many newbies to gardening make the mistake of pairing up certain vegetables that should not be kept together. In fact some should be kept as far away from each other as possible. But don’t think that because you are an experienced gardener that you won’t make mistakes. Many people just don’t realise that they should not plant these vegetables together. There is even still some debate about whether it’s beneficial or harmful for some vegetables to be paired together and why. 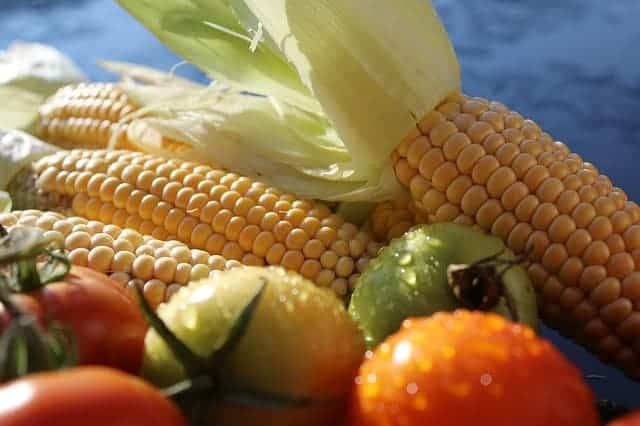 Even without thinking about pairing vegetable combinations, you should be aware of the space each vegetable needs to grow without getting in the way of the other. Another thing, you should be aware about the size of the plants near each other as this can affect the amount of sunlight that gets to the other vegetables and can impact on growth. How to save water in your vegetable garden! 10 Bug repelling plants that you need to plant in your garden! Now these two have more than just a similar name, they are both from the same family which makes them vulnerable to the same fungal infections. If you do decide to plant them together (which I don’t recommend) then make sure to give them a bit of space. The fungi that contaminates these two vegetables spreads through the soil so it’s highly likely for the other to get infected as well. Tomatoes and corn are both susceptible to the same worm (fruitworm or earworm), as well as the same fungal infections. If one were to get infected it’s very likely for the other to get it too, especially if they are planted closely together. There’s a big debate on this one. But I personally don’t recommend pairing these two vegetables. 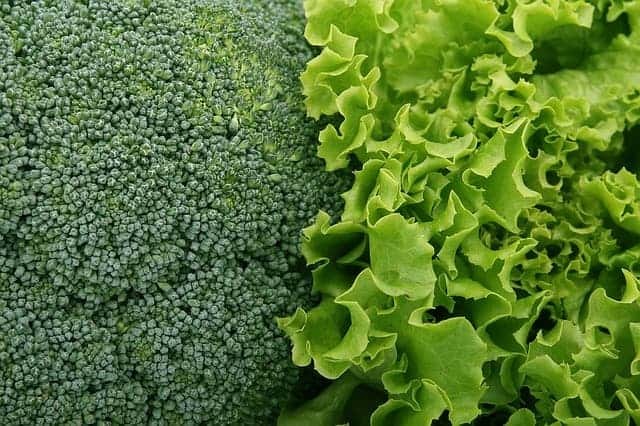 Planting broccoli is very sensitive as it tends to leave chemical residue in the soil, so you have to watch out for vulnerable vegetables. Lettuce on its own is sensitive as well, so the residue can interfere with the growth. Some like to put these two together but I wouldn’t take the risk. These two are a big NO. Onions or any member of its family like garlic or shallot are most likely to stunt both peas and beans. Onions feed on and grow well with high levels of nitrogen meanwhile peas can’t tolerate high levels of soil nitrogen. Another thing, onions need a large space to set up their root system, this will affect the growth of the peas as the onions will take a big part of the nutrients. Sage has a strong scent when growing so I don’t recommend pairing it up with cucumbers as this can have an alteration on the taste of the cucumber when harvested. In fact, I don’t recommend companion planting cucumbers with most aromatic herbs. Most gardeners are against pairing these two up. There isn’t a specific reason but there have been a lot of people that have tried it out and haven’t had a good outcome. If I had to guess I would say that the herb hyssop attracts a lot of insects that aren’t beneficial for radishes. Cabbage or any member of its family (broccoli, brussel sprouts, cauliflower) can harm strawberries to a very serious point. Cabbage attracts aphids which are small insects that can cause damage to the strawberries. Another thing, the growth of the cabbages can be affected if strawberries are planted nearby. Companion pairing these two up is a big mistake. If I’m being honest pairing dill in general is challenging. Carrots and dill are part of the same family, making it easier for cross-pollinate to happen, this process takes place after the dill reaches its maturity. These two should be kept far apart as it can damage the carrots to a lifeless ending. Some gardeners like to experiment and that’s good, but there are definitely some pairs we should all stay away from. Happy planting! Pro tips on how to save water in your garden. Read about how to have a water saving garden! Repel bugs naturally with these garden plants. Fight bugs the natural way!